If you ask us there is no more fun version of bike racing to watch than cyclocross. Road racing is great if you’re an aficionado or have a really long time to sit in front of the television. But cross? Cross is pure magic bike racing fun. And most likely it’s happening in a park near you all fall long. What do you need to have a super duper spectator experience? Boots. 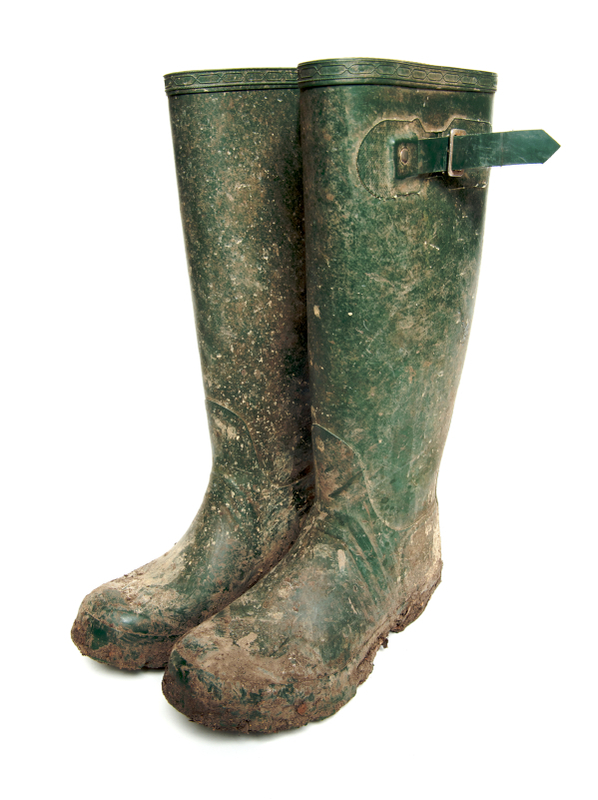 Splendid, warm boots to keep your toes toasty when you are stomping around in the mud and rain. The cyclocross boot of choice is the Wellington. Nice tall waterproof rubber boots. Pick em in traditional hunter green for a classic look or something a bit more colorful if you’re looking to make a statement. When it’s truly cold and wet look for chemical warmers to put in your wellie’s first. The racers may be mud-covered and hypothermic but your feet will be nice and warm! Boots should be worn with a puffy jacket, wool socks and preferably something waterproof. Cowbell. Cross is about noise. Clanging cowbells to encourage riders up slippery run-ups. Cowbell to encourage riders up off the ground when they tumble in the mud. If playing in the mud makes us all feel like kids again then making a ton of noise just adds to the fun. And of course more cowbell…well just because we all need more cowbell. Quality taunts and heckles. One of the most fun ways to watch cross is to stake out your territory on the course – preferably at a run up or barrier section and watch the action lap after lap. After a lap or two you’ll recognize the riders and it’s important to taunt them for encouragement. See a rider with longish hair ripping the legs off the field? Perhaps start a chant of HIGLANDER every time he comes through. Believe me, it helps! A Vacuum bottle / mug. They’re awesome. You can take your Bell Lap Coffee with you and it will stay warm all day long if you pre-heat it. Fresh Coffee is essential for the early morning races. In the afternoon …Switch to Beer. Beer is the second essential element of the cross spectator experience. And no crappy light beers allowed. Cross is Belgian in tradition – and those Belgians do NOT drink Michelob Ultra. Find yourself your favorite tasty Belgian quaff and enjoy. Just make sure you shut it down in time to get yourself home responsibly. No wonder this is the most fun type of cycling to watch. So now you’re armed. You’ve had a few beers and your pity taunts and heckles are at the ready. You’ve staked out the action during the amateur racing. It’s time to watch the pros. Oh. They’re faster. Much faster. And there is a ton of action to catch. Time for your workout. Stake out a spot near the first turn – the hole shot. Watch the mayhem as the riders fight to make it through the turn first AND upright. Then it’s time to book it to the first interesting course element. Barrier section? Run up? Sand pits? Race across the course in time to see the race action come through. Hang out. Drink a beer there. Hear a ton of noise coming from elsewhere ? Time to head in that direction. Please, PLEASE cross the course in pursuit of exciting race action at the pre-determined official course crossings. They’re there for your safety and the safety of the people racing. Nobody wants to get clobbered by a racer who runs them over because they’re crossing the course where they shouldn’t…. Check out the next section and the next. Watching cross is active, kinetic. You get to run around and check out all the interesting, fun, technical or tactical sections. Or at the very least, the sections where people fall down a lot. Have fun. Suddenly you’ll hear a bell. Its the BELL LAP!!!! ONE TO GO ONE TO GO ONE TO GO. Time to head to the finish line. Cheer like mad and ring your cowbell when the mud covered winner comes down the finishing straight.